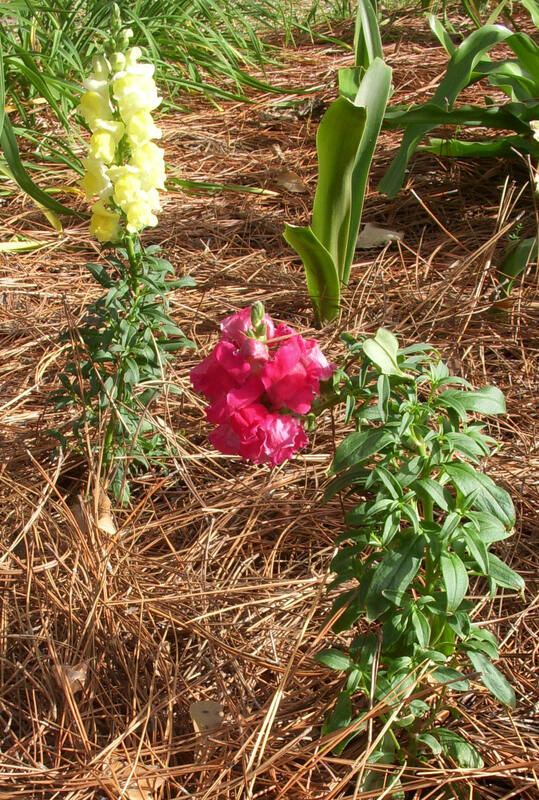 Holy Hands Christian Ministries, Inc.
Our experiment planting Snapdragons last year turned out to be a beautiful success for our flower garden. My wife Lisa and I decided we would plant them again. We began the process of planting new Snapdragons. Things were going well, quickly digging holes, removing the young plants from the plats, placing them in the newly dug holes and filling up the gaps with fresh soil; we got into a routine. By the thirtieth plant we got careless and broke one of the stems holding up the plants first tender blossom in our dig, separate, plant and fill routine. Thirty-five healthy young Snapdragons reaching for the sun and one broken blossom, bent over pointing towards the ground, a casualty of our carelessness. Being the garden pessimist of the back-yard garden team, I was waiting for the young blossom to die and fall off in the days to come. A week later, on a Sunday, I visited my broken Snapdragon to see if the blossom had fallen off yet, but I saw the flower facing the sun, again. Though the stem was still broken, its flower was healed as it faced the sun, again. It was as if some invisible gardener had "lifted up" the beautiful blossom on the broken stem to rebuke my pessimism. Often we have experienced brokenness because of our own carelessness and thoughtless reliance upon routine. Sometimes it is at the hands of others who were equally careless with words or actions. The world may seem like it was waiting for our hopes and dreams to be destroyed because we have been broken, but for those of us who have struggled to keep our eyes fixed upon the Son, the invisible gardener of our souls has lifted us up and healed us, again and again. We may still bear some of the scars of our brokenness, but we no less blossomed in His light. For this we can sing praises to our God. 7 But we have this treasure in jars of clay, to show that the surpassing power belongs to God and not to us. 8 We are afflicted in every way, but not crushed; perplexed, but not driven to despair; 9 persecuted, but not forsaken; struck down, but not destroyed; 10 always carrying in the body the death of Jesus, so that the life of Jesus may also be manifested in our bodies.